Early voting starts today, which means North Carolinians will finally get to decide on six proposed constitutional amendments, including one that would bolster crime victims’ rights. At first glance, voting on an amendment to enhance victims’ rights may seem like a no-brainer, but like many issues, it’s not so black and white. Supporters of the amendment say victims need teeth in the law to assert their rights. Opponents say victims’ rights already are enshrined in the constitution and enhancing them should be done by statute, not by an experimental amendment. 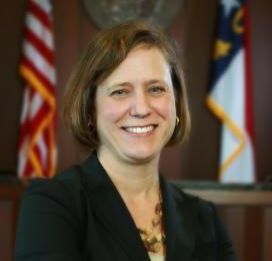 Morey, who served as the Chief District Court Judge for Durham County prior to joining the General Assembly, has been one of the only state lawmakers vocalizing her opposition to the amendment, which is a version of Marsy’s Law – a California billionaire’s nationwide push to give victims equal rights to those of criminal defendants with the eventual goal of amending the U.S. Constitution. 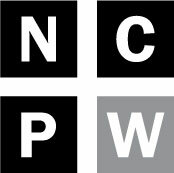 The version North Carolinians are being asked to vote on includes requiring victim notification of all court proceedings involving their alleged assailant, allowing victims to be present and to be heard at those proceedings and enabling them to present their views to anyone considering releasing the accused from custody. The amendment would also expand the crimes for which victims have rights. The mechanism for how victims could assert those rights would be left up to the General Assembly, which has not revealed its plans for implementation should the amendment pass. Morey isn’t the only one with concerns. District attorneys have raised questions about what the amendment will mean for their offices and for court hearings with time requirements if a victim is unavailable. They also question what will happen in instances when a victim’s desires for a certain outcome doesn’t match up with where justice actually lies. Critics, however, are fighting an uphill battle. The Marsy’s Law campaign in North Carolina has a $5 million budget with eight registered lobbyists currently (there were eight also last year and five the year before). Chris Sinclair, a Marsy’s Law for All consultant, couldn’t say Tuesday how much the campaign had spent to date and didn’t reveal how much lobbyists were being paid, including Colon Willoughby, a former Wake County District Attorney who wrote an editorial for Raleigh’s News and Observer last week without disclosing in it that he was a lobbyist. The campaign has not yet had to disclose any finance reports. Sinclair said that since Sept. 27, it has paid for TV, radio and digital advertisements, direct mailers and field operations. To Sinclair, voting for the victims’ rights amendment is black and white. He said the amendment was the most vetted of all six and that stakeholders were invited to the table from the beginning – and he’s not wrong. Wake County District Attorney Lorrin Freeman said prosecutors worked extensively with lawmakers on the wording of the amendment and ultimately their authority was kept intact. She said victims in her office are currently notified by letter. They are typically kept apprised of any major court hearings. Marsy’s Law would require notice of any hearing where a defendant’s release from custody is possible, even a first appearance. There is a 96-hour time requirement for a person who is arrested to appear for a court hearing, but Freeman said Wake County tries to keep that number around 18 hours. There are currently victim notification services known as NC SAVAN and VINElink, but both are connected to the jail and prison systems, not the court system. Freeman said she hopes if the amendment passes, the state will adopt an automatic notification system to let victims know about hearings by text or email. The federal system has one that victims can sign up for. Freeman said another part of Marsy’s Law that could affect the timeliness of hearings is the opportunity for a victim to be heard at any point during the prosecution process. Right now, victims of certain crimes have a right to be heard at the sentencing stage. One other potential for concern she highlighted was with domestic violence cases. She said often times what a victim wants in those cases may not be in their best interest or in the interest of public safety. Freeman said the Conference of DA’s has not endorsed the amendment or come out against it. “Our position is just that it be adequately funded,” she said. There is an $11 million legislative fiscal note attached to the amendment, but the true costs won’t be felt until it’s implemented and enforced, if it gets that far. Freeman said the courts need to be fully funded by the legislature to really serve victims. She plans to vote for the amendment. “I support anything that brings better services to our victims, and it is my great hope if it is enacted that the resources will be fully funded,” she said. District attorneys from Durham, Mecklenburg, Buncombe and Forsyth counties did not return messages seeking comment about Marsy’s Law. Ashley Welch, the District Attorney for Cherokee, Clay, Graham, Macon, Swain, Haywood and Jackson counties, declined to comment Tuesday because she said she was at a work conference without a computer. An assistant to Ernie Lee, the District Attorney for Duplin, Jones, Onslow and Sampson counties, said he was out of the office until the end of the week, and an assistant district attorney in that office did not return a message for comment in his absence. An assistant to Ben David, the District Attorney for New Hanover and Pender counties, said he was in speaking engagements all of Tuesday but that she would leave him a message. Morey said that any money put toward the amendment won’t go toward victim services – it will go toward the administrative costs of implementing it. She added that victim services and even a restitution fund for victims were already underfunded. She described the potential for Marsy’s Law to do harm to prosecution as a “train wreck” and said it will derail cases and delay justice. She added that in her 18 years as a judge, she never heard a victim say they felt their rights were impinged. North Carolina is one of six states voting on a Marsy’s Law constitutional amendment in November. Several other states have already passed measures, including California, Ohio, Illinois and South Dakota. 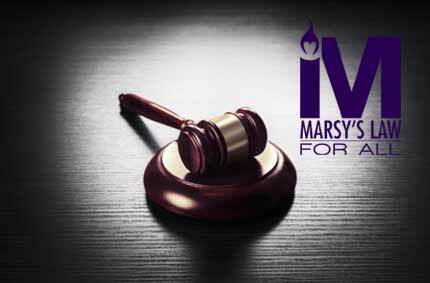 A judge in Kentucky – one of the six states with an upcoming vote – ruled Tuesday not to certify the Marsy’s Law amendment votes because the language on the ballot was vague and misleading. That ruling is already being appealed by a Republican Senator. 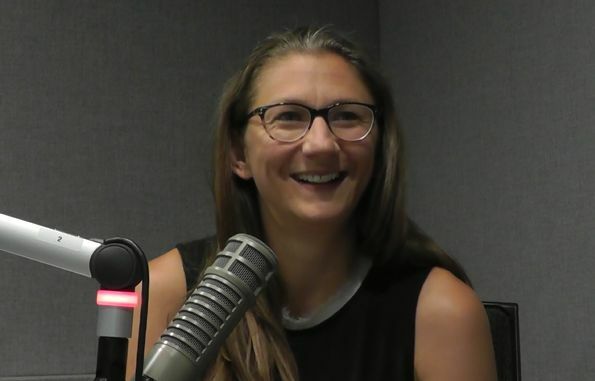 Susanna Birdsong, Senior Policy Counsel for the ACLU of North Carolina, raised similar concerns to those of Freeman and Morey about Marsy’s Law in North Carolina. She said the amendment would weaken defendant’s due process rights. “I think there are a lot of potential concerns with it,” she said. She said lawmakers have the power right now to change victims’ rights laws and encouraged them to think about ways to improve them without adjusting the constitution. “My worry is that this constitutional amendment isn’t going to get crime victims what they need or want,” Birdsong said. Sinclair criticized the ACLU more than once during his phone interview for opposing Marsy’s Law. He argued that criminal defendants had standing to stop proceedings if their rights were infringed upon and asked why victims shouldn’t be afforded the same right. He asked how much money the ACLU was spending on stopping Marsy’s Law and how much money it paid its lobbyists. He also implored opponents to the amendment to talk to victims. “Why is the money so important?” he asked. Mike Meno, a spokesperson for the ACLU, couldn’t get an exact statewide number for how much the organization has spent trying to stop the victims’ rights amendment specifically.